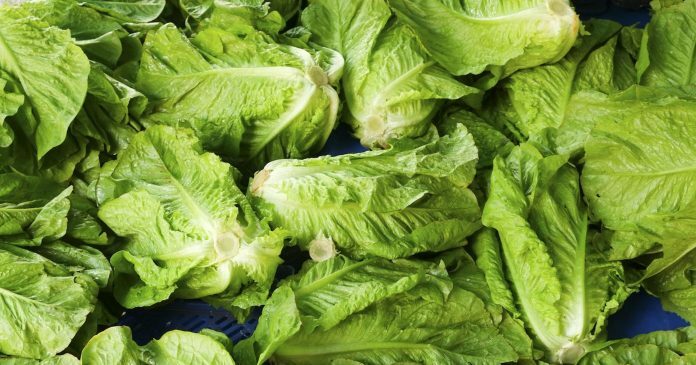 Romaine lettuce and packaged lettuce from the US could be contaminated with E.coli so consumers are being told to throw out any lettuce they have at home. Stores have also been advised not to sell lettuce and throw away any they have in stock. BASSETERRE, St. Kitts — The Ministry of Health announced on Wednesday that imports of romaine lettuce into the Federation, from the United States (US), could be tainted with E.coli bacteria. This advisory is based on a food safety alert issued by the US-based Centres for Disease Control (CDC) on Nov.20 which stated, inter alia, that the public should not consume any type of romaine lettuce due to a recent E.coli outbreak in the US. The CDC alert includes all romaine lettuce varieties such as whole heads or hearts, bags and boxes of pre-cut lettuce and salad mixes, including Caesar Salad. In light of this US-CDC advisory the Office of the Chief Medical Officer, Dr. Hazel Laws, has advised that all romaine lettuce stocks among retailers and wholesalers be pulled from the refrigerators and freezers and discarded, as a safety precaution. By extension, hotels and restaurants are urged not to serve or sell any dishes containing romaine lettuce until further notice. The CMO’s Office has further advised that consumers in St. Kitts and Nevis should discard any romaine lettuce that has been purchased recently. Consumers are encouraged to check their refrigerators for any romaine lettuce that may be stored there and discard them as well. Care should also be taken to wash and sanitize refrigerator drawers or shelves where the lettuce was stored, prior to restocking those areas with other food products. The public is advised that if anyone has consumed tainted romaine lettuce the following E.coli infection symptoms may occur within 1-10 days: (a) severe stomach cramps; (b) diarrhoea (often with blood and lasting more than three days); (c) high fever; and (d) vomiting. Should any of these symptoms manifest, persons are advised to promptly access care at any of our four local hospitals. The Office of the CMO will issue a subsequent advisory on when it would be safe to resume purchase and consumption of romaine lettuce imported from the US.